Hello, the eagle eyed of you will of noticed that I have revamped the website with a new colour scheme and banner I hope you like it. I am please to announce the start of a project I am going to be running which is called as you might of guessed “The KINECT Generations Project” I have a dedicated section of my blog where you can find all my blog Entries related to this project. part one is below but please have a look at the dedicated section which can be found here or under the heading “KINECT Generations” on the menu bar above. So after some thought I decided to go out and buy a KINECT sensor before going back to school, this is so I could have a proper look at what it can do in my own time. I am really glad I did it is amazing and I have only just scratched the surface, as I type this I am patently downloading Visual Studio Express so I can get on to the programming side of things. 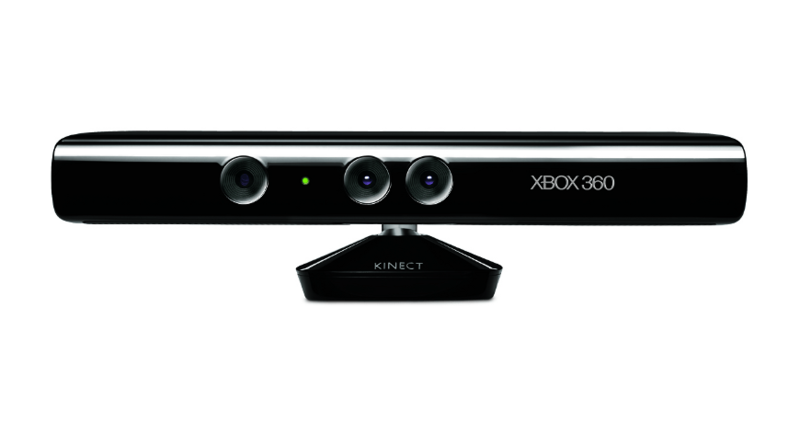 So what have I done so far, I have installed the KINECT SDK software and hooked up the KINECT sensor to my laptop. I then started to have a play around the speech recognition software that comes with windows 7. Now normally I would say stay away from speech recognition, as it can be quite temperamental. For those that of you who know me I have got a little bit of a Westcountry accent so speech recognition does not normally go hand in hand with that. I am not sure if it’s the software that Microsoft supplies with Windows 7 or the fact that the KINECT has a Microphone array but it works fine I am even using it now to dictate this blog post! I have also looked at the sample skeletal viewer which comes with the KINECT SDK software. I am currently in a small office which is about 2 meters squared with a desk and built-in wardrobes, and it picked me up fine. All in all so far I am really impressed how easy the KINECT is to set up to a Laptop or PC and get results. It just works and I cannot wait to use this with my students! I will be doing more updates as the project progresses so please keep checking back or subscribe to the blog so you never miss an update. Hi I know it’s been a while since I have last posted anything on this blog, I have been busy setting up another project (more about that at a later date). Just before the summer I was asked by @chickensaltash (if you aren’t fo llowing him on twitter you should) if I would present at the Saltash.net teach meet. I accepted and then realised I didn’t know what I was going to talk about, So I had a look online to see if anything technology related that looked like it could be adapted for educational purposes. I came across the term “Augmented Reality” now if you are like me, some who loves using new technology but sometimes has to look up the meaning of the new fan fangled term I have saved you the trouble. I was surprised to read that AR has been around for a long time, this got me thinking why is this not used in education? Or perhaps it is and I am not aware of it being used? So I started playing around with AR on my phone and thought it was pretty cool. Then I thought this would be amazing if I could get what I am seeing on my phone on to my white board in the classroom. I did some more research and found out that a lot of people had already done this with the Microsoft Xbox 360 Kinect. All be it being a bit naughty and hacking into the device via a PC. However now Microsoft have released Kinect SDK which does not require you to hack or do anything other than just plug your Kinect sensor into your PC and start programing. I have complied a video from various clips I have found online which shows what AR is all about pay particular attention to the section that starts 54 seconds in as this is where the Microsoft Kinect shows its true potential to be a valuable tool within the classroom for any subject. I am really looking forward to using this piece of kit and intend on ordering the sensor as soon as I get back into school. I would imagine that I am not the only one who thinks that the possibilities for this are endless in a classroom. Can you imagine taking your students a walk through the trenches of WW1 in your own classroom or letting your students create music just from the movement of their bodies, or even something as simple as writing an email with your finger in mid-air. I intend to be keeping an update on how I and my students get on with this once I have brought the sensor and started playing with the Kinect of Windows SDK software. If anyone has already started using this within a classroom environment please get in touch.